The Miller Ferry offers departures from Catawba Island Ohio to Put-in-Bay and Middle Bass Islands. The Miller Ferry is the only ferry boat that transports vehicles to the island although as a visitor bringing a vehicle is not recommended. Parking on the island is very limited and waits to get a vehicle on or off the island can be long. The Miller Ferry departs from the northern tip of Catawba Island on State Route 53 North. Ample safe parking including pay and free parking options are available at the point of departure. There are areas for passenger and luggage drop off at the top of the dock at all points of departure. 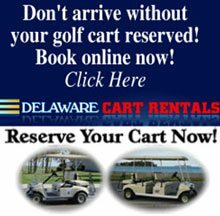 Reserve your Put-in-Bay Golf Cart On Line In Advance!! An 8 passenger golf cart makes the perfect family transport! The Miller Ferry arrives on the southern side of the island, not in the downtown area. If you are arriving as a passenger, reserving a golf cart online in advance is recommended as quantities are limited. Put-in-Bay Golf Carts offers the islands newest and most modern fleet of rentals and are a convenient affordable way to travel the island. Operated as licensed motor vehicles, they are equipped to seat 2, 4 6 & 8 people. Overnight rentals are available by reservation and a popular option. Upon departing the Miller Ferry, there are ample numbers of Put-in-Bay Taxi Cabs and a bus that brings you into town where you will find the heart of the island and most of the Put-in-Bay Attractions. Advance reservation for golf carts also ensures the lowest rates as often time rental agencies raise rates as availability decreases. Book online for your Put-in-Bay Golf Cart. Automobiles, motorcycles, Recreational Vehicles, and boats on trailers are all transported aboard Miller Ferry to Put-in-Bay and Middle Bass Island. The goal is to provide safe, convenient and reliable Put-in-Bay ferry transportation. Please read and make note these Guidelines for bringing a vehicle. Alcoholic containers are prohibited to be open on board all Miller Boat Line vessels and premises. Reservations are not required. Vehicles are taken on a first come, first serve basis as the published schedule. Vehicles can make a round trip passage within the same day on Monday, Tuesday, Wednesday, Thursday, or Friday. However, because of heavier traffic, The Miller Ferry is not able to transport a round trip a vehicle within the same day on Saturday, Sunday or a Holiday Mondays such as Memorial Day or Labor Day weekend. During Spring & Fall Schedules – All Vehicles must be in line before 5:00 pm Monday through Saturday and in line before 4:00 pm on Sundays and Holiday Mondays in order to be guaranteed passage off Put-in-Bay South Bass Island back to the mainland. During Summer Schedules -Vehicles must be in line before 6:00 pm Daily in order to be guaranteed passage off Put-in-Bay where same day return is offered. Know the Peak Demand Periods and try to avoid going to Put-in-Bay on Friday afternoons/evenings, and returning from Put-in-Bay on Sundays and Holiday Mondays. During these peak times, Miller Ferries will sometimes run extra trips but are not guaranteed. The Ferry reserves the right to limit vehicles in order to accommodate more passengers when needed. Reservations are not required. Vehicles are transported on a first come, first serve basis. All Commercial vehicles that are over one-half ton must have reservations made by 4:00 pm at least a day prior to passage. Please be in line 20 Minutes before your reservation departure time. Motorcycles are taken with vehicles on a first come first serve basis. Reservations are not accepted. Wheel Chocks and two Two tie-downs and wheel chocks are provided by the Miller Ferry. It is at the discretion of the Captain to choose to carry motorcycles during high winds. It is at the discretion of the Captain to choose to carry more than two motorcycles without tie-downs when weather conditions permit. Due to Maritime Security regulations, customers, vehicles, and baggage may be subject to inspection at any time before or during a trip. Customers are limited to two 5-gallon approved containers of gasoline or propane to be brought on board the Miller Ferry. All containers must be inside a vehicle. No gasoline/propane containers may be carried on as a passenger. No trucks with saddle tanks in the bed of the pickup are permitted, due to regulations of the US Coast Guard. Be sure to set the emergency brake on your vehicle once you have boarded. There is no smoking on board the ferry or in shelter houses. In 1901, turn of the century Put-In-Bay was at the center of Lake Erie’s “Wine Islands”, covered in lush vineyards, orchards, and wineries. People flocked by the thousands, traveling to the island via steamship every year. In comparison, the steamships would make today’s island ferries look small, each boat averaging 400 hundred feet in length. At the time, Put-In-Bay was home to one of the largest resort & hotels in the county, the Hotel Victory. There were several other unique wooden hotels that covered the island, some included a large water slide, utilized a trolley, and the nearby two school houses. Just as tourists today enjoy the Put-in-Bay bars and restaurants, most attractions were for the enjoyment of summer tourists. At one time, there was even an opera house on the island. In 1905 two island residents, Harry Jones and William M. Miller started a business harvesting and selling Ice. During the frigid winter, the crew would saw and collect tons of block ice from Lake Erie. It was a dangerous business, but the location was ideal. The ice was stored in an insulated house called an ice house. Sawdust provided the necessary insulation to keep the ice from melting and as yachts and their sailors arrived at Put-in-Bay they were able to sell the ice to them using their first boat, an eighteen-foot wooden delivery boat named Iceman. With Lake Erie and Put-in-Bay fishing becoming an important part of the island destination, Miller expanded his Put-in-Bay Charter Fishing service to six charter boats, headed up by the largest boat, Avon. William’s son, William Lee skippered the Avon throughout the islands and Catawba. To serve as “ferry” they began attaching a scow. This served as an easy way to carry up to about 8 vehicles at a time. The island residents began relying on the service, and soon upgraded and became an almost year around service, bringing cars, passengers, livestock, freight, and mail to Put-In-Bay. For a short period of time, the Miller even operated as a water taxi, particularly during the Regatta week. You could often hear people hailing the boat to come to pick them up, yelling out “MMMILLLLLL-EEERRR”. Wiliam Lee was contracted for delivery of the year around mail service from the mainland to the islands. The contract to begin bringing mail to the island by airplane did not start until 1929 when regular service to and from the Bass Island by the Ford Tri-Motor began. Bringing the mail across the 3-mile stretch of open water from Catawba to Put-in-Bay was a difficult and often dangerous job. Lake Erie is well known for her rapidly building storms and rough water conditions. in the winter months when ice formed and covered the lake the wooden boats were covered with metal panels and nailed to the points to withstand the jagged brutal ice. Named “ironclads” these durable boats transversed the 3 miles distance between the Lime Kiln dock at Put-in-Bay and the Catawba Dock on the mainland side on a daily basis. The men would float the boat across the potions of Lake Erie that had open water or break thru the weakened ice. When the ice was thick, the men and often times their passengers would help push the ice across the frozen mass. During the 1940s the Catawba Dock was purchased from mainland owners by William, wife Mary, son Lee, and island resident Mick Arndt. bought the Catawba Dock Company stock from several mainland residents. Circa 1945, Lee had assumed the leadership role from his father as well as the day to day operations of the business. His foresight realized there was an opportunity to grow the company if they were to have a safer and more efficient ferry boat system. The South Shore was the first ferry boat built by the family. The 65 foot long enclosed ferry boat was constructed by the Cleveland based Stadium Boat Works Company. Made completely from steel, the boat was designed to withstand the rough and uneven waves of the Lake Erie Western Basin. The vessel was enclosed and an average trip to Put-in-Bay took just over 40 minutes. 12 cars would fit on the vessel and its superior construction allowed the ferry to operate earlier in the year as well as later. Three round trips per day took an average of 40 minutes and in 1946 service to Middle Bass Island began. Several side loading ferries were soon after contractured including the West Shore, the second of the 65-foot ferry boats followed by the William M. Miller in 1954 and the MV Put-in-Bay in 1959. All of the aforementioned ferries were constructed in Sturgeon Bay Wisconson. In the early days, crew members drove the cars on and off the ferry boats and at peak loading periods the cars were loaded so closely together that the crew had to climb out of the car windows. Soon thereafter, the Miller Boat Line became the principal connection from the mainland to Put-in-Bay until the intror=duction of the Jet Express High-Speed Downtown Ferry. The ice harvesting business continued thru the 1950s however ice was no longer harvested from the lake but transported from the mainland being loaded into trucks and taking the ferry to the Lake Erie Islands. Bill who was Lee’s son, was the Captain of the Wm. M. Miller from the very first day the ferry arrived at the islands. He also skippered the Mervine II which was a Navy Mechanical Landing Craft that was constructed during World War II and was used to deliver fuel to the islands. The fuel transport vessel is now known as Cantankerous and is used to this day to deliver fuel to the Lake Erie Islands. The ferry company fleet still included five fishing boats and two 26-foot Lyman’s which were used for speedy (or medical emergency) taxi services to the mainland. In 1959 the family and island residents were devastated after the accidental drowning of then 28-year-old Bill. The loss was a tragedy that had lasting effects on those who knew and loved him in the Lake Erie Islands. In 1966 Miller Boat Livery became incorporated and was renamed Miller Boat Line which it still carries today. Break walls and a concrete and steel dock were added to the Lime Kiln Dock on the southeast tip of Put-In-Bay making for a more sturdy and user-friendly dock. The Lime Kiln dock offered the most efficient and direct way to the mainland from Put-in-Bay. This shorter passage could be covered in under 2o minutes. This improved shorter route allowed the Miller Ferry to increase the schedule to up to 12 trips per day when needed. The West Shre ferry continued to service Middle Bass Island. In 1971 Lee Miller named Willaim (Bill) Market as manager of the ferry boat line. Mr. Market was a fourth-generation island resident and had been employed by the Miller’s as a purser and deckhand since 1954. With the families loss of young Bill, who was also Bill Market’s best friend, Market became the captain of the William M. Miller. In 1973, when Lee passed away, Mary Miller asked Market to take over operations of the Miller Boat Line Ferry company. During the 1970s the popularity of Put-in-Bay skyrocketed and local developers began to restore and revitalize the elegant private estates and historical buildings that over the years had fallen into disrepair and suffered from neglect. The Blacksmith Shop, Park Hotel, Crescent, Round House Bar, and the Colonial were just a few of the historical landmarks that were lovingly and carefully restored to their original grandeur. DeRivera Park located in the heart of the downtown area was funded and developed and the State Park System in Ohio added Soth Bass Island State Park to their system. A concrete break wall was built on both sides of the Perry Peace Memorial to stop the shore erosion caused by high Lake Erie Water Levels. Put-in-Bay tourism continued to flourish and it was quickly becoming apparent that it was going to become the mainstay of the island for the foreseeable future. Bill Market and his wife MaryAnn Market, an island native, purchased the boat line from Mary Miller. The Market family has owned and operated the business ever since. In 1983 The Miller Ferry introduced the Islander into service. This 38 foot wide (beam) vessel was 90 feet long and allowed passengers and cars to drive on / drive off an improvement over the side loaders of the past. The increased efficiency and time gained in loading and unloading passengers and vehicles again allowed the ferry to expand its schedules and rum more frequent trips. It was constructed by G&W Builders located in nearby Cleveland Ohio. The new ferry could carry as many as 16 vehicles and up to 500 passengers per trip. Soon thereafter in 1989, the 96 Foot Long MV South Bass Was Contrctured in Cleveland with a slightly larger vehicle capacity of 18 and in 1993 the William Market was placed in service followed by the MV Put-in-Bay in 1997. The foregoing were constructed in Sturgeon Bay, Wisconsin and could accommodate up to 20 cars and 500 passengers. In 2010 the Put-in-Bay returned to the shipyards to be extended by 40 feet increasing its load capacity to 600 passengers or up to 24 vehicles. All of the newer modern ferries were drive on drive off configurations allowing time to be saved both loading and unloading the ferry. The higher capacity ferries combined with additional trips helped reduce the long waiting times. During the peak, season ferries begin as early as 6:30 am with tips as late at 9:30 on some dates. As the newer more modern vessels entered the ferry fleet, the smaller ones were sold off to new homes throughout the Great Lakes area. Over the years various additional operational improvements have been made including adding new and larger parking lots, reserved parking and hydraulic ramp systems to better address the rising and falling lake levels. The Miller Ferry is responsible for bringing all of the UPS packages to and from the island until the lake freezes over and the package transportation is turned over to the Griffings Island Airlines who provide a lifeline to the island in the winter months when the ferry boats no longer run. The office for the Miller Boat line is located in the downtown area on Bayview Avenue near the winter mooring for the ferry boats. The downtown location is home to the Miller Marina offering Put-in-Bay Boat Docks in excess of 1000 feet of dockage. Today’s modern Miller Ferry Boats are United States Coast Guard Inspected and approved on an annual basis. For anyone who lives on South Bass Island, the ferry has become a way of life in every aspect from a trip to the mall, mainland night out or a visit to the Doctor. As local Put-in-Bay Hotels & Resorts have thrived and grown additional ferry boats both by the Miller Ferry and The Jet Express have been added to the fleet to meet the rising demand for passage to Put-in-Bay.